Has feminism failed lesbianism? What issues belong at the top of a lesbian and gay political agenda? This controversial new book answers these question through an in-depth examination of lesbian and gay subordination. 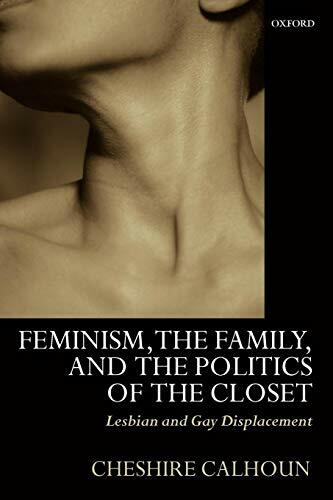 Feminism, the Family, and the Politics of the Closet seeks to firmly place sexual orientation politics within feminist theory and define the central political issues confronting lesbian and gay men. Cheshire Calhoun critiques the analytic frameworks employed within feminism that render invisible the differences between lesbian and heterosexual women in order to bring the study of lesbian life from the margins to the center of feminist theory. Throughout, Calhoun strives to move lesbian and gay politics away from concerns of sexual regulations and toward concerns of the displacement of gays and lesbians from both the public sphere of visible citizenship and the private sphere of romance, marriage, and family. This impassioned challenge to current feminist thought is must reading for those in the areas of political theory, gender studies, sociology, and women's studies, as well as anyone concerned about the position of gays and lesbians in today's political arena.